I have to say right up-front that today was a terrible ride. The weather conditions were great, but I was plagued by a myriad of technical issues that caused me no shortage of grief. Darn, darn, darn. Here's the situation – the day didn't start off well; I set my alarm for sometime between 8:00am and 8:30am, with the intention of getting on the road by 9:00am for a 55-mile ride. (Two circuits around the Pistol Hill Road loop.) But I was up till 4:00am the night before, so when I was rudely roused from slumber by my alarm, I turned it off and I drifted back to sleep. I woke up at 9:00am, and decided that I could probably make it on the road by 10:00am at the latest. I made a quick breakfast of eggs & ham, and I started getting all of my gear ready for the ride: multiple bottles of water and Gatorade, several packages of Gu, pumping air into my bicycle tires, etc. By 10:00am it looked like I had everything together, but I ran into a problem as I was about to leave – I had just installed a seat-attached, dual-water-bottle mount on my bicycle, and it came off as I was storing my bottles for the ride. This discovery was met with no shortage of exasperation, so I reattached the mount, only to be faced with the same situation – the mount came off with simple usage. 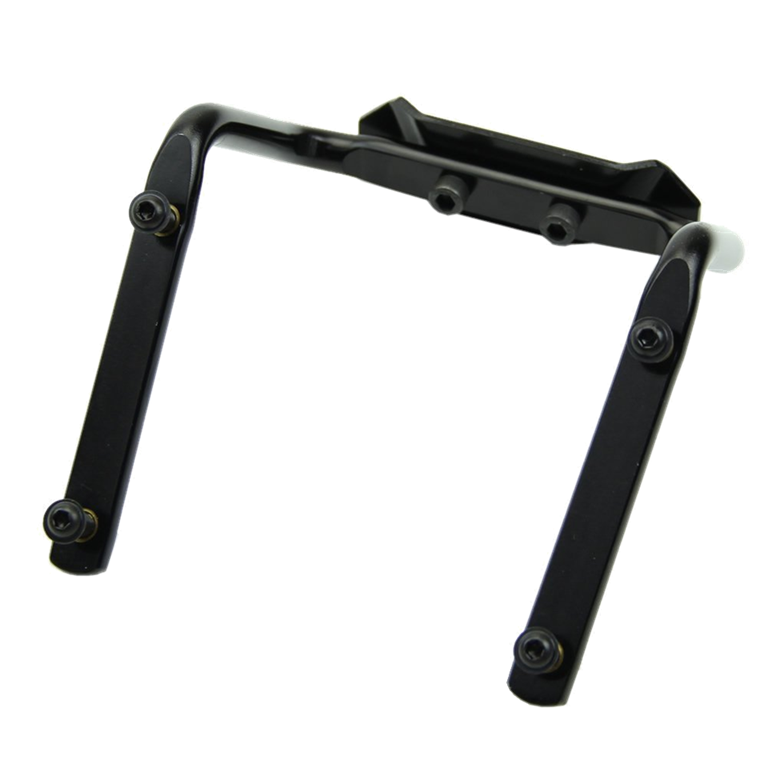 So I completely disassembled the mount, verified that everything was put together correctly, inspected my saddle to make sure that I was connecting it in the best place, reattached the mount, and I re-bolted everything as tight as possible without stripping any of the bolts. Once completed, I picked my bicycle up by the mount and it held fast. This seemed good enough for me, so I double-checked to make sure that I had everything that I needed for the ride, and I finally got on the road sometime around 10:40am. Unfortunately, the ordeal with the mount had taken up almost ¾ of an hour, so I was now running seriously behind the optimum time for riding. I knew from checking the weather the night before that I would now be somewhere in the middle of the open desert when the temperature was well over 100 degrees. Despite that knowledge, I soldiered on. The first couple miles were uneventful for the most part, but I was on the wrong screen on my Garmin GPS so I couldn't monitor my heart rate or cadence, and I couldn't seem to change screens. Trying to resolve the issue had me pretty distracted, which is a bad thing when you're sharing the road with traffic. Eventually I realized that I had accidentally locked the controls, but once I had that problem resolved, I realized that my cadence sensor wasn't sending signals to my GPS. I couldn't fix that problem while in motion, so I pulled off the road and repositioned the cadence sensor on my bicycle. After several minutes I seemed to have that problem taken care of, and I resumed my ride. I begrudgingly started riding back in the opposite direction. In order to assist my search, I was intentionally riding in the wrong direction in the bicycle lane, for which I profusely apologized to every cyclist whom I encountered as I explained that I was searching for a water bottle that I had lost. Truth be told, I felt like I was looking for the proverbial needle in a haystack – I had no idea if the water bottle had rolled off the road into the bushes somewhere, or if it had been stuck by a car, or any one of a number of reasons why I might never see it. My search went on for several miles, until a cyclist travelling in the opposite direction remarked that he had seen my water bottle. Unfortunately we passed each other in such haste that I couldn't hear where he said he had seen it. As I entered the city limits, I decided that it was best to change sides of the road to the correct side, and I would simply make a U-turn if I saw the water bottle. But I didn't, and I made it to within a few hundred yards of my neighborhood before I decided that I had gone too far. So I turned around and continued my search as I resumed my original course. A mile or so later I found my water bottle lying in the road, and I pulled to a stop as I kicked myself with incredulity for my failure to notice the bottle on my first pass. Nevertheless, I quickly got back on the road, but I had lost faith in the dual-bottle mount, so I was forced to store the two water bottles in the back pockets of my riding jersey. By the time I reached the Saguaro National Park, I had been riding for over an hour, but I felt like I had made no progress at all since I had been at this same location some 45 minutes earlier. All of my starting and stopping and slow-paced searching had taken their toll: my legs felt terrible, my heart rate was hovering above 150bpm, and I was running low on water as I pulled into the hydration station near the park entrance. I took a short break as I refilled all of my water bottles, and I consumed a pack of Gu as I weighed my options. 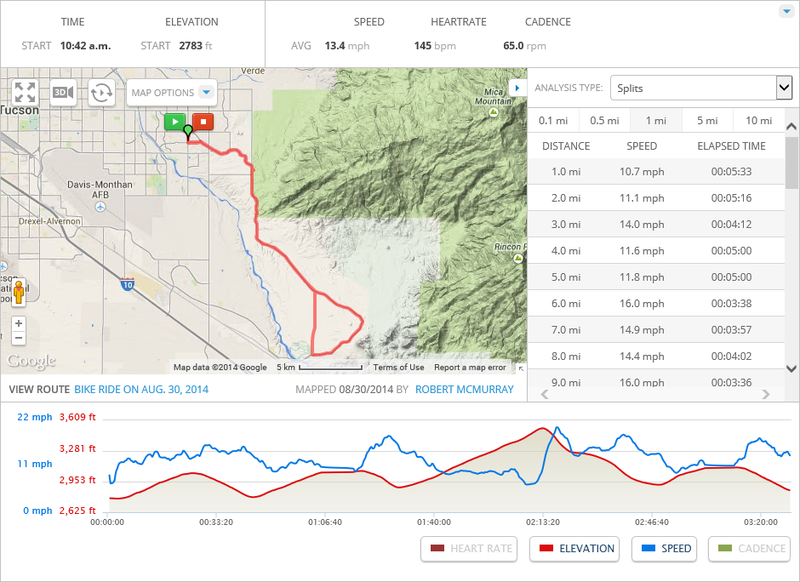 My original plan of riding 55 miles was totally shot, and the temperature was already over 100 degrees. I seriously thought about tossing in the towel and riding home, but that would have put my mileage for the day at only 18 miles, which was way lower than I wanted. I decided that I would make a single lap around the Pistol Hill Road loop, which would give me somewhere over 40 miles. This was obviously lower than my original 55-mile goal, but it seemed an acceptable alternative to quitting. Once I had that plan in mind, I got back on my bike and followed the road as it led off into the desert. I could feel that I wasn't riding at my best level – all of my earlier misadventures had taken their toll – so I was riding with the philosophy that a successful ride for the day would be to simply complete the loop and arrive home in one piece instead of challenging my previous times like I would normally do. When I passed the Rincon Valley Market somewhere around the 17-mile point, I was shocked to see that it was boarded up and appeared to have gone out of business. The market had always been something of a backup plan for emergency supplies. With it gone, there is no place for me to get water if I'm running low out in the desert, so I'll need to keep that in mind for future rides. As I reached the 18.5-mile point, it felt like the strap for my heart rate monitor was pinching my chest. I thought that it would work itself out, but it seemed to grow more persistent, so I reached inside my cycling jersey to adjust the strap. To my confusion and surprise, my hand suddenly felt like it was being pinched as well, and that's when it dawned on me: I wasn't being pinched – I was being stung! With this shocking revelation in mind, I grabbed the front of my shirt and crushed as much of it as I could, and then I pulled off the road to inspect the situation. Sure enough, some sort of wasp or yellow jacket had managed to get inside my jersey, and I had smashed it when I crushed my shirt. With this problem rectified, I scraped the bug guts out of my shirt and I resumed my ride. One of my personal goals is to never shift off my top-most chain ring, and I managed to keep to that goal as I slogged my way up the last mile to the highest point on Pistol Hill Road. But as with my refusal to quit, my so-called persistence was really just stubbornness on my part. My cadence was lower than I wanted, my heart rate was higher than I wanted, and I was rapidly going through my water and Gatorade as I tried my best to combat the soaring temperatures which surrounded me. I had been riding for 2¼ hours by the time I crested the summit on Pistol Hill Road, and I passed the 25-mile mark as I started my descent down the other side. Normally I would be pedaling as I descended, but I needed a break, so I consumed another pack of Gu as I coasted downhill for most of the next mile or so. This had the desired effect, and my spirits were slightly better as I turned north onto Camino Loma Alta for the 3-mile ride back to Old Spanish Trail. The next several miles were mostly uneventful, although the 3 miles from the low point in Jeremy Wash to the Saguaro National Park were harder on me than usual; I think simple exhaustion from the day's misadventures were getting the better of me. I managed to keep to my personal goal of staying on my top-most chain ring, but it took some serious effort... or dedication... or stubbornness... or foolishness... it's one of those, I'm not quite sure which one. By the time I reached Saguaro National Park, I was running low on water again, so I pulled into the hydration station near the park entrance to refill. As I topped off my water bottles and poured some cold water over my head, I struck up a conversation with another cyclist who was taking a quick break. He had already ridden 60 miles for the day, and he was about to head around the 8-mile park loop. He invited me along, but I had already endured more than enough riding for the day, so I politely declined, and then I hopped back on my bicycle to head home. I'm logging today as a "short ride" since I would normally ride 30 miles or less, but really what I did was two separate rides that were both around five miles in length. Here's the scoop: I started another class at a local college, which is near enough for me to ride to. So really I'm commuting, more-or-less, but since the college course is my new evening activity on Tuesdays and Thursdays, I have to take what I can get. Today's ride was an adventure in more ways than one. 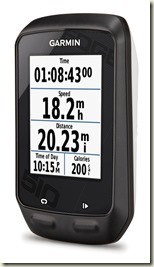 First of all, my new cycling GPS arrived in the mail yesterday, and I was eager to try it out. 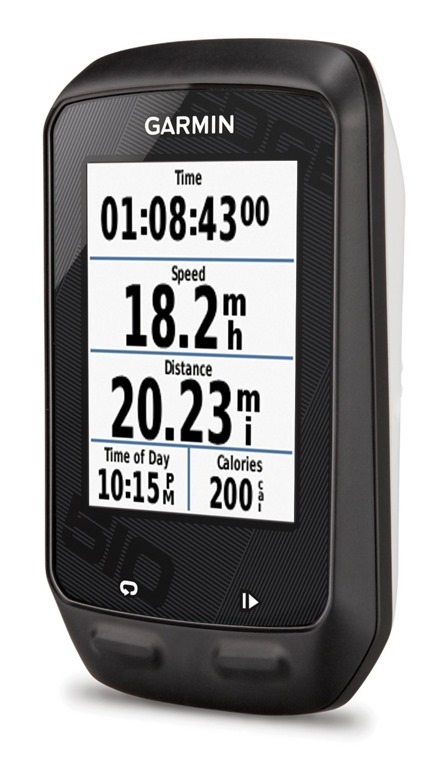 The GPS that I bought is a Garmin Edge 510 Bike Computer, and I purchased the version that was bundled with Garmin's Heart Rate Monitor and GSC 10 Speed/Cadence Sensor. 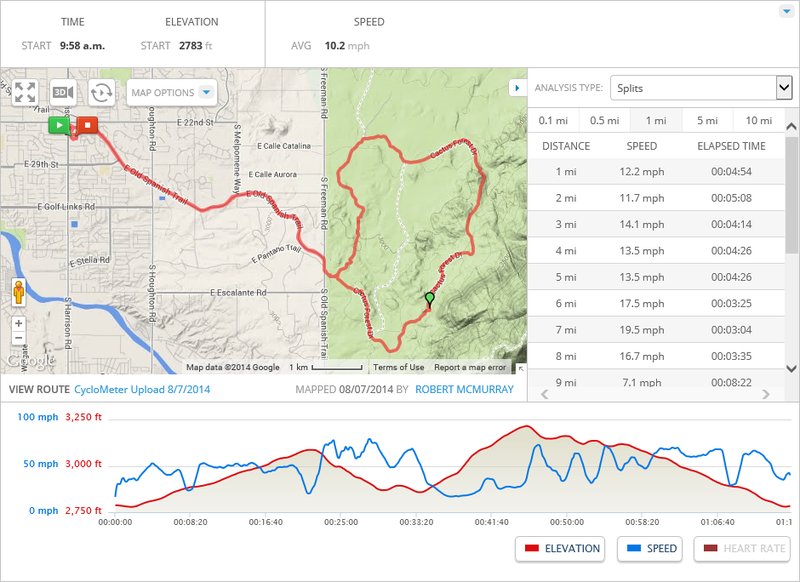 Another interesting adventure during today's ride was the altered course: many of my recent long rides have involved multiple trips to Colossal Caves, which I may have pointed out has a very bumpy last mile because the road is poorly maintained. I also mentioned in a recent blog that I have been considering turning off onto a short loop at Pistol Hill Road instead of riding all the way to Colossal Caves. I mentioned this plan to an old friend and avid local cycling enthusiast earlier this week. He was shocked when I told him that I had been riding all the way to Colossal Caves, because he knew how terrible that last mile was. He encouraged me to ride the Pistol Hill Road loop, although he mentioned that it has some hills to climb. 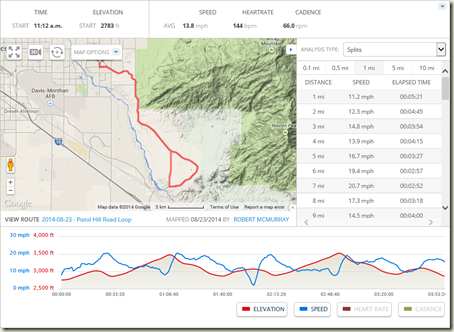 With that in mind, I followed my usual route towards Colossal Caves for the first 14 miles or so until I reached Pistol Hill Road, where I turned south and promptly began huffing my bicycle uphill. The great part about this route was – the road itself has obviously been recently-paved, so the riding conditions were great. 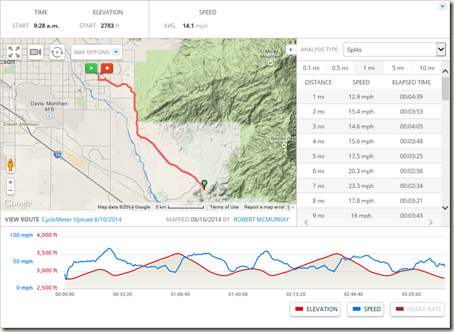 The only negative feature was that the loop begins with a hill which I think parallels the difficulty level of the big hill in the Saguaro National Park. Nevertheless, it was a good ride, and I think that I will stick with this new route in the future. It adds a few miles to the course, which is actually a good thing, and the quality of the ride is so much better that it makes everything worth the extra miles. I spent a lot of the ride paying attention to my cadence. I have been doing a lot of reading about cycling training, and many of the articles which I have read mention trying to keep your cadence at 80 rpm. I quickly realized that this cadence wasn't going to work for me, so I tried to keep my cadence at 70 rpm. This was difficult for predictable reasons, such as hill climbing. 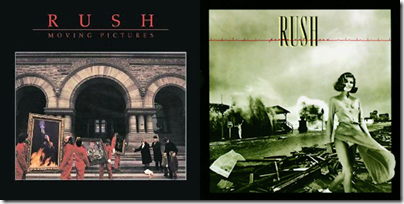 Just the same, I averaged 66 rpm for the duration of today's 4-hour ride, so I will simply try to improve from there. I was within a few miles of my house on the return trip when I realized that I had forgotten to put on sunscreen before today's ride. I had been in a hurry to get out the door, and as a result I could already see that my thighs were sunburned along the lower edges of my cycling shorts. 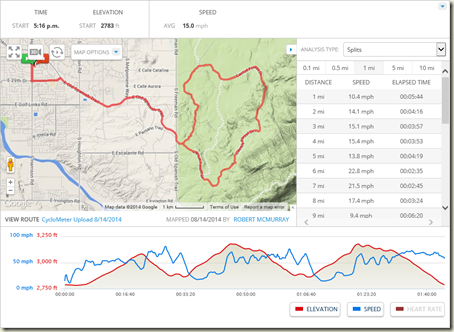 If you've been following my cycling blogs, you will have noticed that Thursdays are one of my "Short Ride" days, which usually consists of a 17-mile. But you may have noticed that in recent weeks I have slowly been increasing the length of all my rides by several miles, so today's "short ride" wound up being 27 miles: from my house to the Saguaro National Park, twice around the park loop, and then home again. The weather was more cooperative today, so I was able to head out for my ride in the evening. I checked my sunrise/sunset app for my Windows Phone, which showed that sunset was at 7pm, so I knew that I had to get on the road by 5:15pm or I would be riding home in the dark, and I managed to get on the road at 5:11pm. Because of the waning monsoon season, the sky was predominantly overcast, and that dropped the overall temperature for the ride. There was a light rain falling as I started out, but I was pretty sure that the rain would clear up quickly based on the cloud formations in the area. I did a couple of things differently for today's ride: first of all, I replaced the small bag that attaches to my bike frame (which I have been using to carry things like Gu packets and my ID) with a new pannier-style bag. 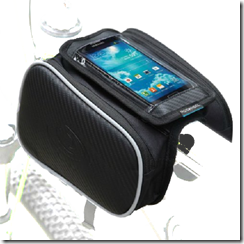 This allowed me to carry a few more items, but it also allowed me to have decent control over my cell phone while keeping it safe from the elements. And the bag's construction still allowed me to reach around the back of my phone to switch my external battery pack on and off. The sun was rapidly descending through the clouds and over the distant horizon as I made my way around the park. And as darkness fell, I became quite aware of how fast I was going and how much worse my view of the road ahead was getting. This added a bit of trepidation as I sped through the hills and washes that make up the last few miles of the loop, and I decelerated a little to compensate for the fading visibility. As I finished my second loop around the park, I made sure that all of my bicycle lights were on, and I headed home as fast as was safely possible in the cool, dusky air of Tucson at twilight. Well, today was an interesting ride. Tuesdays are one of my short rides, and normally I do my usual 17-mile ride (home to the Saguaro National Park, around the park loop, and home again). But the weather was looking like it was going to be really bad, and all of the weather websites showed thunderstorms throughout the day. I looked at a lot of the radar images, and it appeared as though the storms were going to collide with the Catalina Mountains to the north of Tucson, and there was another system on the far side of the Rincon mountains to the east of Tucson. However, Saguaro National Park is at the base of the Rincon mountains, which meant that a simple shift in the storm's direction would drop the storm on top of me when I was somewhere where I would rather not be in a thunderstorm. All of the storms seemed to be headed to the northeast, so I figured that as long as I stuck to the south, I should be okay. I therefore decided to head out to Colossal Caves, where there were a few opportunities to seek shelter if the need arose. That being said, the ride to Colossal Caves is 14 miles longer than my usual ride, which meant that I rode 31.2 miles instead of 17 miles. It looked like the weather was getting worse as the day progressed, so I decided to ride earlier in the day instead of waiting for an evening ride like normal. With that in mind, I headed out shortly before noon, and I could see that the Catalina mountains and the northwest side of Tucson were getting slammed by serious thunderstorms. The trouble is, as I approached Saguaro National Park, I could see that South Tucson had a major rainstorm overhead, but I couldn't tell if it would be a problem later. Apart from that, the ride to the caves was uneventful, albeit a little slower than normal as I kept looking over my shoulder to see what the weather was doing. As I was headed back, I could see that I was headed into a storm. While I accepted the fact that rain was a certainty, I saw several flashes of lightning that had me alarmed. (Rain = Acceptable; Lightning = Unacceptable.) I knew that the Rincon Market was at the 22-mile point, and I was somewhere around the 18-mile point as I suddenly found myself facing a serious headwind. (This elicited some serious yelling at nature on my part, all of which was utterly fruitless.) Knowing that I would shortly be drenched, I moved my cell phone and other important things into a small Ziploc bag that I had brought with me specifically for this possibility. A light rain started to fall as I reached the market, and I pulled off the road briefly as I pulled out my cell phone to check the weather. The radar images looked like I would be skirting around the storm that I saw earlier, so I got back on the road headed home. Shortly after I hit the road, the rain started grew stronger. As I rode along, I kept reminding myself of each location where I could pull off the road if the weather became unbearable. By the time I was headed uphill from Jeremy wash, the rain was falling much harder, and the low areas around the wash were filling with water. My bike has no fenders, so I was throwing around a fair amount of mud as I rode. When I reached Saguaro National Park, the rain had abated significantly, and it had ended within another half-mile or so, although that didn't help the mud situation. I made it home safely, though, and somewhat wiser about paying attention to large puddles that form on the roads. I set my alarm for 8am this morning, with every intention of heading out for my ride by 8:30am. However, when I woke up I discovered that Kathleen was making waffles and bacon, so we had a leisurely breakfast together as we chatted about our respective weeks. As a result, I didn’t get on the road until sometime around 9:30am, but quality time with my spouse is worth more than a silly bike ride – so my delay was worth every minute. I chose to ride 50 miles because it works out nicely riding to Colossal Caves and back a couple times; there are a lot of hills, so it keeps me working the whole time. 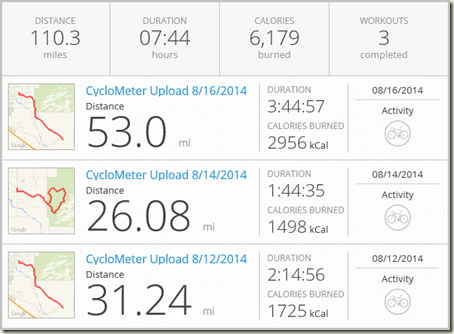 But I wanted to ride at least 43 miles today because that would help me hit the century mark (100 miles) for the week. That being said, going past my goal is not bad, either. 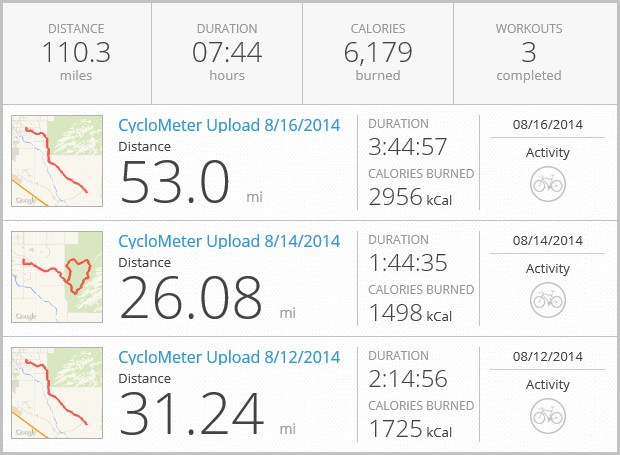 And with that in mind, I logged 110 miles on the bicycle this week – with nearly 6,200 calories burned. The ride was mostly uneventful, although I saw two distracted drivers swerve off the road ahead of me. Had they lost their concentration when they were speeding past me… well, let’s just be thankful that the worst-case scenario was averted. 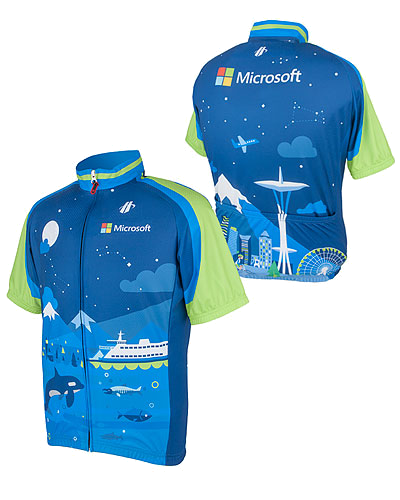 A few weeks ago I rode a metric century (100km), although I did just about everything wrong for that ride: I stayed up all night the night before (so I had been up for 24 hours when I began the ride), I barely consumed 200 calories worth of food before heading out, and I ate nothing during the 4.5-hour ride. As someone from a local bike shop commented, “You’re the guy we’re going to find lying by the road some day.” With that in mind, it was better to have had a real breakfast before heading out today, and I made sure to down a package of Gu at the 15-mile, 26-mile, and 37-mile points. I drank several liters of water and Gatorade during today’s ride, yet I still managed to lose a little over a pound of weight during the endeavor. For the future, I’m looking into making a small change to this ride: instead of riding all the way to Colossal Caves on Old Spanish Trail, I can turn off onto Pistol Hill Road (I love the name!) about a mile before the caves, then turn onto Camino Loma Alta, which will take me back to Old Spanish Trail. 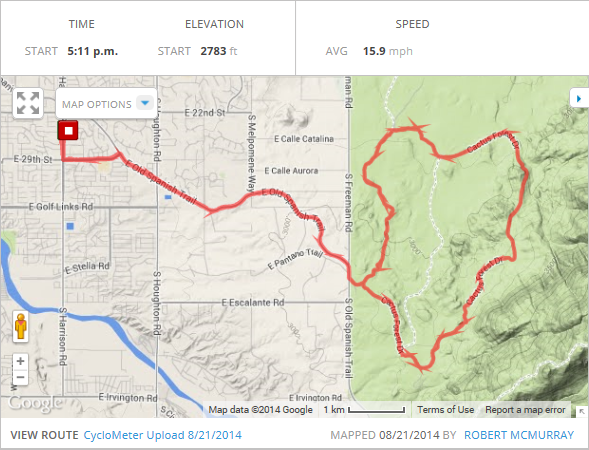 This adds a few miles to the ride, and it cuts out the barely-maintained last mile to the caves (which hurts to ride). I seem to be the only cyclist who is riding all the way to the caves, so I’m pretty sure that all of the other cyclists are using this alternate route. If I combine that route with my current plan of riding twice to the caves, I might be able to extend the ride to 60 miles. Once again, today was supposed to be one of my “Short Days,” but I decided to shake things up just a bit: instead of riding the usual 17-mile trek from my house through Saguaro National Park and home again, I doubled my ride around the park, which yielded a 26-mile ride. With that in mind, I knew that I needed to head out as close to 5pm as possible, but I needed to lock up our puppy before I left and she was being uncooperative, so that delayed my start time until quarter after the hour. 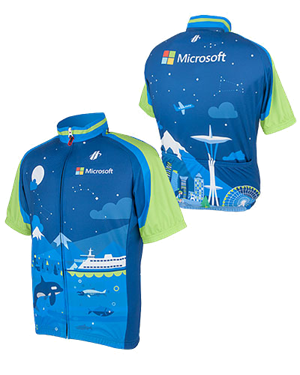 I was also wearing my new riding jersey today, which I bought a few days ago. I’m liking it a lot, and it has lots of great artwork that reminds me of my years in the Pacific Northwest. The day was predominantly overcast, which made it seem like the sun was already setting by the time that I arrived at the park. Nevertheless, I started with earnest, and I managed to complete my first loop around the park in 36 seconds less than my previous personal best. (It’s the little victories that make your day.) I felt like I was riding a little slower my second time around the park, and I was certainly climbing the “Widow Maker” hill a little slower than my first loop. But somehow I made back for lost time, because my GPS showed that it took me just over 34 minutes to complete each loop around the park, with an average of a little over 14mph for both loops. I have to admit, riding around the park a second time is difficult, because I’m pretty tired after my first loop. At times I have to rely on some old Army training psychology for perseverance; sometimes you just have to tuck your head down and push on. It also helps that the park is a one-way street: once I’ve started my second loop, I’m committed to completing the course. The sun was visibly racing toward the far horizon as I completed my second loop around the park and started my 4.5-mile trek homeward, so I made sure to turn on all of my lights to avoid being hit by a car. (Today’s motorists are inattentive enough as it is.) I expected the second loop around the park to extend my ride to 25 miles, but for some reason my GPS indicated that I had ridden a little over 26 miles. I have no idea how that happened, but I won’t argue with it. Today was supposed to be one of my “Short Days,” meaning that I would ride my usual 17-mile trek from my house through Saguaro National Park and home again. 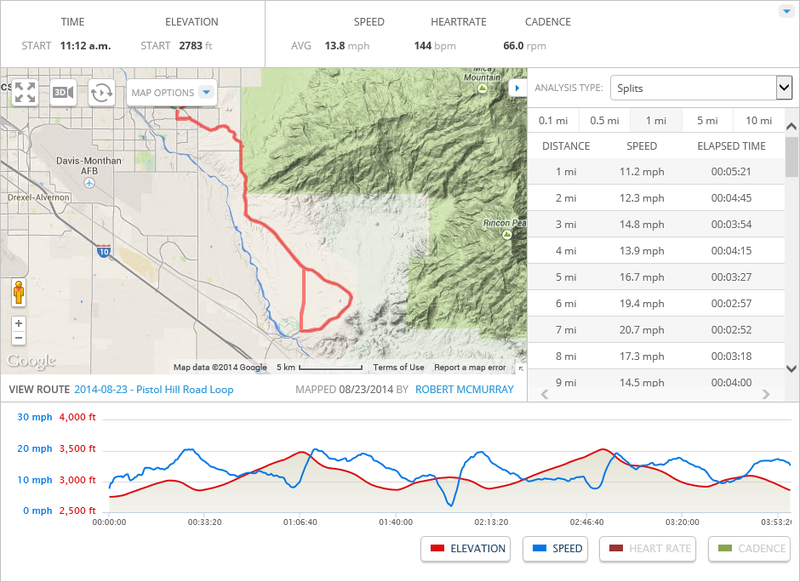 But I had the day off, so I decided to ride a Metric Half-Century (50km) from my house to Colossal Caves and back. That being said, the strong headwind made climbing a lot of the hills on the road to Colossal Caves very difficult to negotiate, and I found myself having to downshift a lot to compensate; periodically I had to downshift while riding downhill just to fight the winds that hit me in the face as I crested the various hills that exist between the 10-mile and 15-mile mark on my way to the caves. On my way back from the caves, there is a certain point where I pass a sign which reads, "Tucson - 10 Miles." I have to admit, it is momentarily demoralizing to realize that you are on a bicycle in the middle of the desert and 10 miles from town. 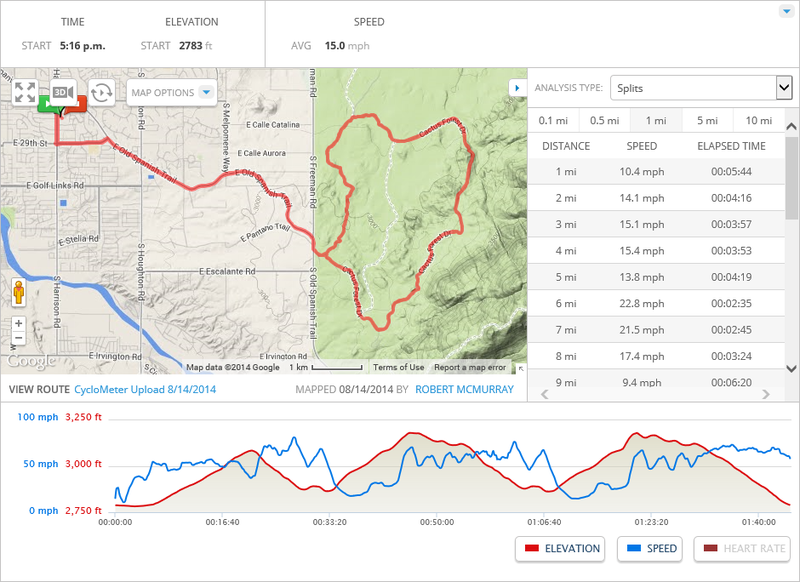 Note: Something appears to be seriously off with the altitude gain computation in my GPS application for my phone. 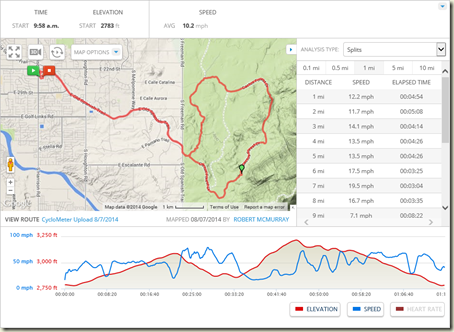 I have done this ride several times, and the altitude gain is always well over 1,800 feet. For today’s ride it said the altitude gain was 387 feet, which was totally bogus. When I analyzed the GPS data from my ride in an external application, I got the 2,152 feet that I listed above. So something is definitely amiss. Grrrrr. I took it somewhat easy today - Saturdays are supposed to be my long days, but I had a bunch of items on my "Honey Do" list that needed to be done, so I simply rode a metric half-century (50 kilometers / 31 miles). I might have considered adding Saguaro National Park to my ride in order to add another 8 miles to my distance, but I realized sometime after I left the house that I had left my annual pass for the park at home. Which is just as well, since I had told Kathleen that I was only riding 30 miles - from our house to Colossal Caves and back. Overall the ride to Colossal Caves was not that bad; I've made the trek a few times, and I'm getting to know the road a little better. This means I'm learning when to push myself a little harder, and when I should reserve some energy for bigger obstacles in my future. For example, I know that the 15-mile journey from my house to Colossal Caves has a slight gain for the first 4.5 miles, then it's downhill for a few miles, then it's mostly flat for a few miles, and the final five miles are mostly uphill (with the worst near the end). All of the uphill & downhill parts of the trek remind me lyrics from the song "Spinning Wheel" from the late 1960s: "What goes up, must come down." Except it's the other way 'round: "What goes downhill, must go back uphill again." 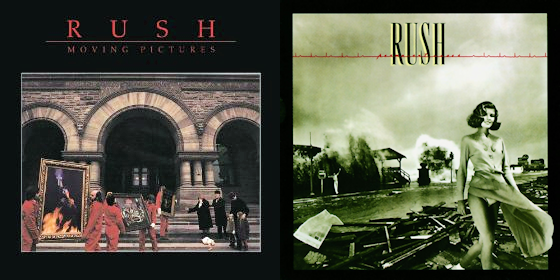 This is a sad reality of topography. There was a bad headwind on my way back, and that undoubtedly added a few minutes to the ride, which was unfortunate because I was striving for an even two-hour ride for the 30-mile distance from my house to the caves and back, but I arrived home 8 minutes behind that schedule. Not for lack of trying, though. 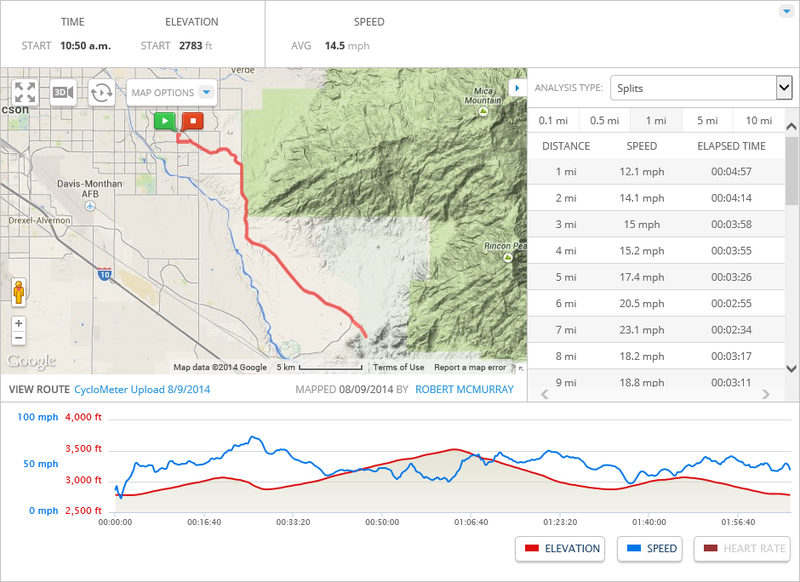 For example: a guy passed me around the 20-mile mark, but I was able to catch him over the next six miles as we got to the part of the ride which meanders uphill from Jeremy Wash. He turned off into Saguaro National Park as I continued homeward, so it's entirely possible that he was reserving his strength for the "Widow Maker" hill in Saguaro National Park around the 3.5-mile mark. I ran out of water when I was about 1.5 miles from my house, which wasn't too bad. I knew that I was close and I had a bottle of Gatorade waiting for me in the fridge, so I didn't attempt to hold anything in reserve. I tried an experiment for today's ride: during my time in the military, I had something of a ritual on the days when I would to my long distance runs, (e.g. 10K races or half-marathons), where I would have scrambled eggs about an hour before the run, and I would take aspirin before I started the run. With that in mind, I tried something similar: I scrambled three eggs for breakfast and ate those about an hour before the ride, then I took a mixture of migraine medicines before heading out (aspirin, acetaminophen and ibuprofen). I also had a package of Gu right before the ride, and I had another package at the 15-mile mark. In the end, I have no idea if any of this helped. Today was one of my “Short Days,” meaning that I would ride my usual 17-mile trek from my house through Saguaro National Park and home again. That being said, I did something different today – I have always ridden solo, but today I rode with David, who is an old friend of mine from high school. What if he rides faster than I do and I can’t keep up with him? What if he rides slower than I do and he can’t keep up with me? The second concern seemed less-likely, but I didn’t want to hold up someone who was way outside my range as a cyclist. As it turns out, my concerns appeared to have been for naught, as we seemed to ride at a similar pace. That being said, as we stopped at the hydration station near the entrance to the park, we met up with several other cyclists who were all lamenting about the infamous hill on the back side of the park. With that in mind, David needed to take a couple of breaks during our ride around the park, which I completely understood; this can be a very taxing course, and I needed to take a few breaks during several of my earlier attempts.